Dr. Kexu Sun at his Ph.D graduation ceremony; Drs. 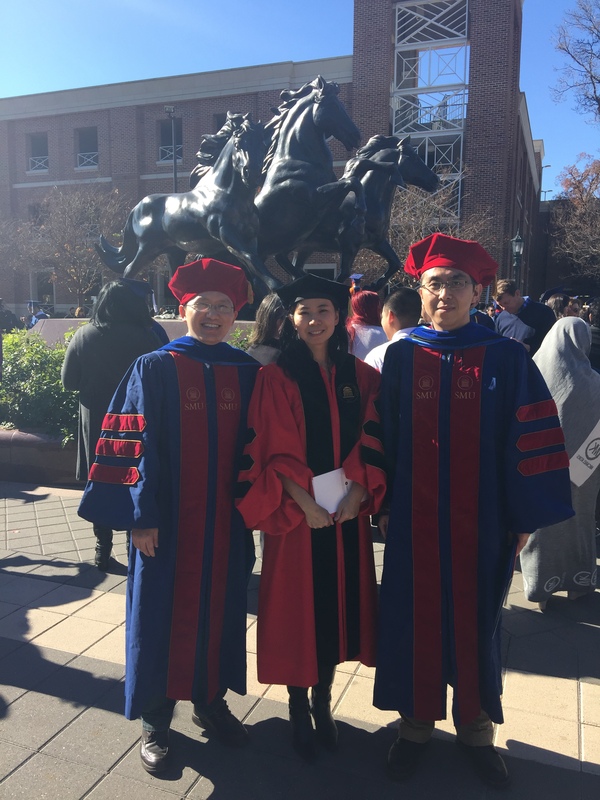 Guanhua Wang, Kexu Sun and Gui at Guanhua and Kexu's Ph.D graduation dinner in May 2018. Xiaoran testing his chip at Fermilab in the summer of 2018. 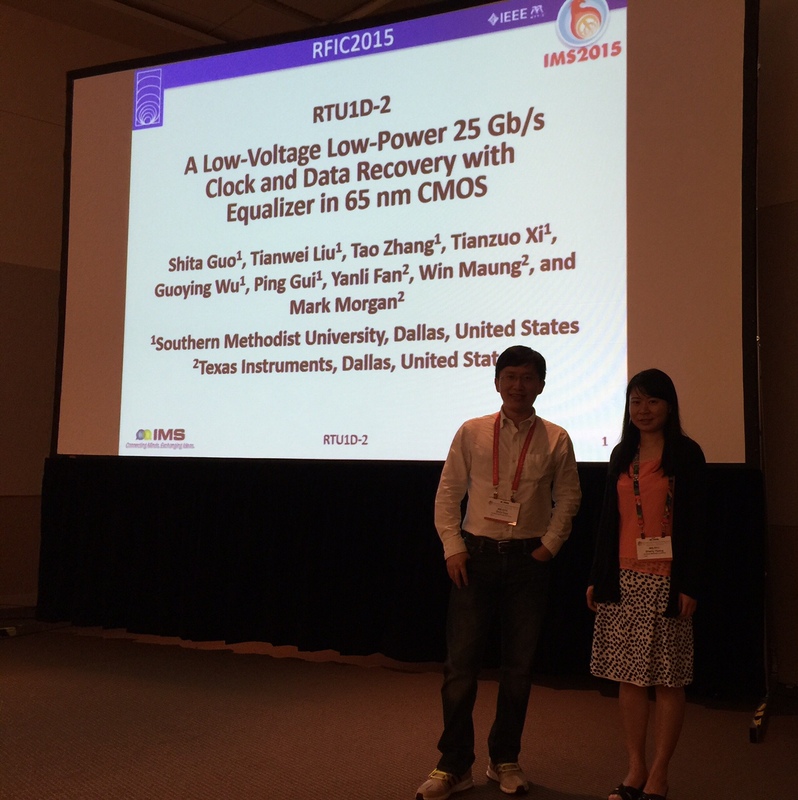 Xiaoran presented his paper at IEEE RFIC 2018 in Philadephia, June 2018. 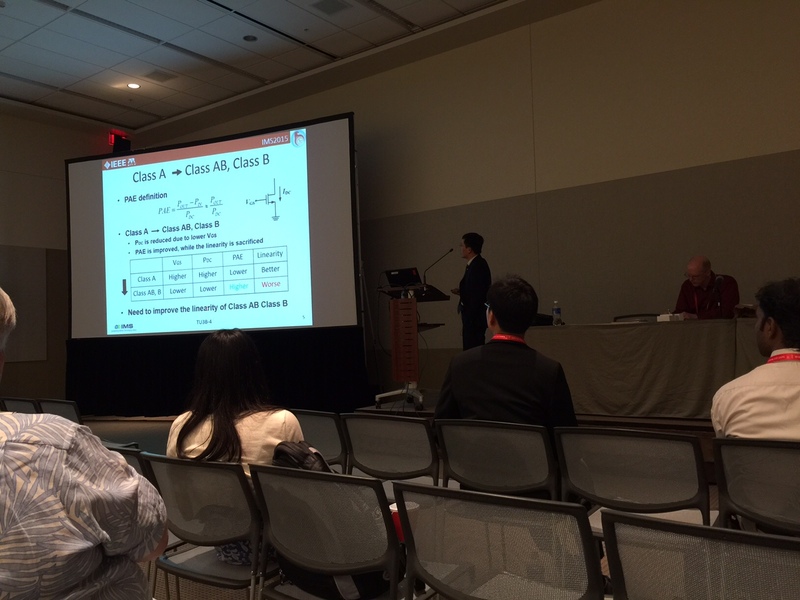 Kexu presented his paper at IEEE CICC 2018 in San Diego, April 2018. Guanhua presented his paper at IEEE ESSIRC 2017 in Leuven, Belgium. Chang and Dr. Gui at RFIC 2017, Honolulu, Hawaii, where Chang presented his paper. 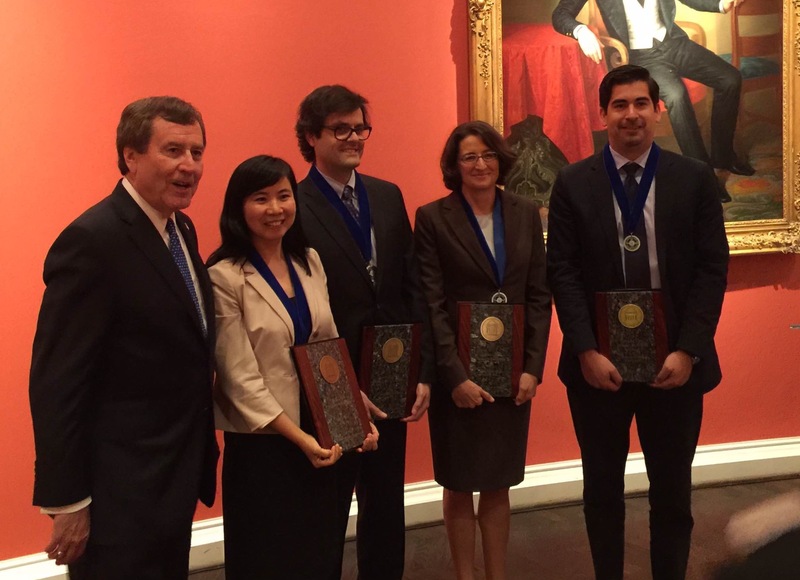 Front: Nataly Pico, Prof. Gui; Back: Chen-wei Huang, Daniel Camacho, Alex Gao, Alexander Li. Chen-wei presented his paper at ISCAS 2009, Taipei, Taiwan. 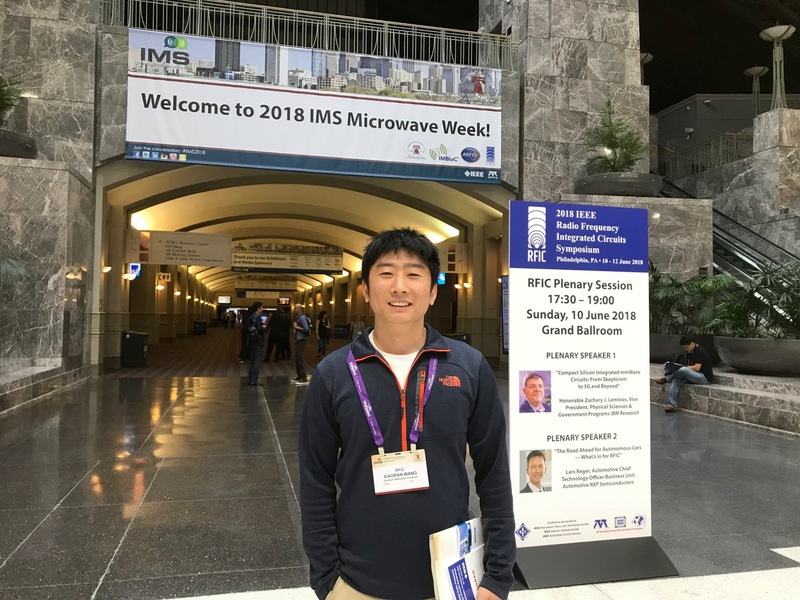 Wickhem Chen presented his paper at MWSCAS 09, Cancun, Mexico. Daniel Camacho presented his paper at MWSCAS 09, Cancun, Mexico. The TTC team, people who worked on the CERN/TTC project(2008). From left to right: Wickham Chen, Daniel Camacho, Prof. Gui, Tim Fedorov, Paul Hartin and Byran Yu.